Snack on these healthy foods to stay full eating fewer calories! Just a handful of almonds is a rich source of antioxidants, vitamin E, and magnesium. Almonds have also been shown to increase feelings of fullness in people and help with weight management, according to a study presented at The 2006 Obesity Society Annual Scientific Meeting. 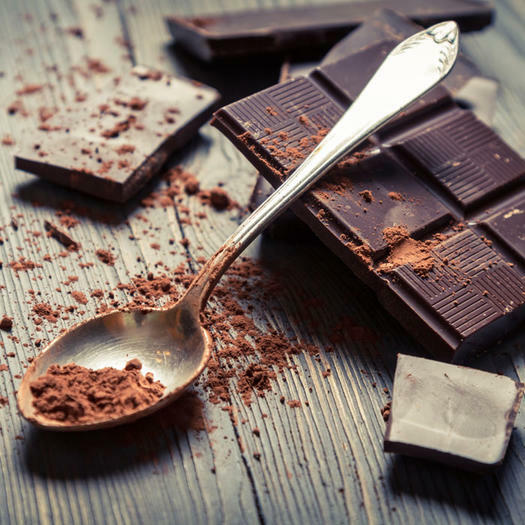 Just a little dark chocolate helps to lower your cravings because the bitter taste signals the body to decrease your appetite. Not to mention that the stearic acid in dark chocolate helps slow digestion to help you feel fuller longer. For centuries, many cultures have used ginger root for its amazing digestive powers. Whether it’s in a smoothie or in an Indian dish (sorry, ginger ale doesn’t count! ), ginger works as a stimulant that energizes the body and improves digestion, thereby making you less hungry. Full of fibre and heart-healthy monounsaturated fat, avocados suppress appetite when eaten in moderation. In fact, the fats in these little guys send signals to your brain that tell your stomach that it’s full! Get spicy! 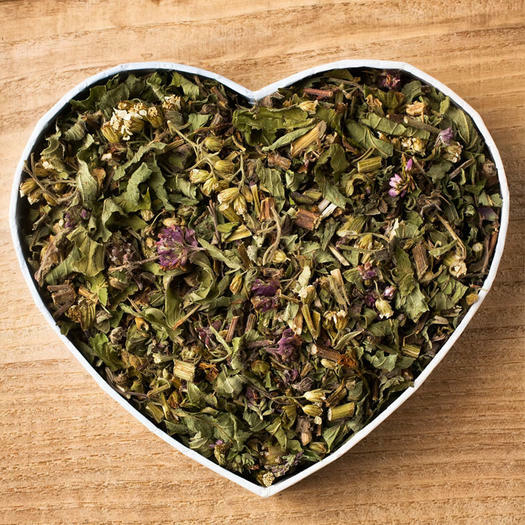 According to recent research published in the journal Physiology & Behavior, just half a teaspoon of cayenne pepper can boost metabolism and cause the body to burn an extra 10 calories on its own. Not to mention that for those who don’t regularly eat spicy meals, adding cayenne pepper cuts an average of 60 calories from their next meal. Do that at two meals a day for a month and you’ll lose 4 pounds without even trying! If you’re really looking for a highly nutritious food that will fill you up for hours, you can’t beat green leafy vegetables. 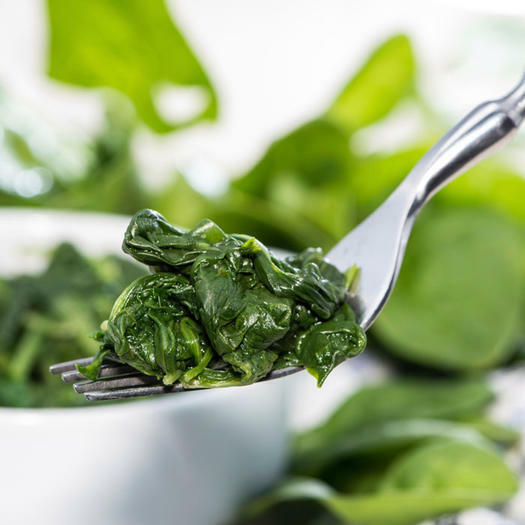 From kale to spinach to Swiss chard, these fibrous greens (eaten raw or gently sautéed with a little olive oil) are delicious and definitely keep hunger at bay. Apples of all varieties and types help suppress hunger for a number of reasons. First, apples are filled with soluble fibre and pectin, which help you feel full. Apples also regulate your glucose and boost your energy level. Finally, apples require lots of chewing time, which helps slow you down and gives your body more time to realize that you’re no longer hungry. Studies have shown that eating an egg or two for breakfast can help dieters feel more full over 24 hours than if they eat a bagel with the same amount of calories. Could taming your appetite be as easy as drinking an extra glass or two of water? Science says yes! In one August 2010 study, people who drank two glasses of water before a meal ate between 75 and 90 fewer calories at the meal than those who didn’t drink water. Love that H2O! According to food scientists, potatoes contain a special type of starch that resists digestive enzymes, making them stay in your stomach longer and therefore keep you full. Plus, they’re full of vitamin A and vitamin C! Previous articleIs it OK to work the same muscles back to back? Next articleHow to define yourself beyond motherhood!